Paltto Elämysretket (“Adventures”) /Ateljee Huopapirtti is located on the shores of the Njurgulahti bay in the village of Lemmenjoki. 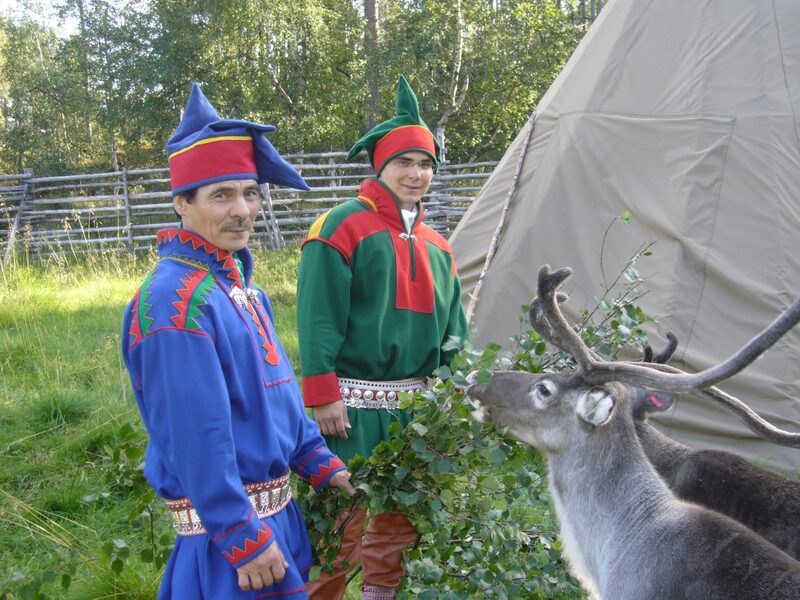 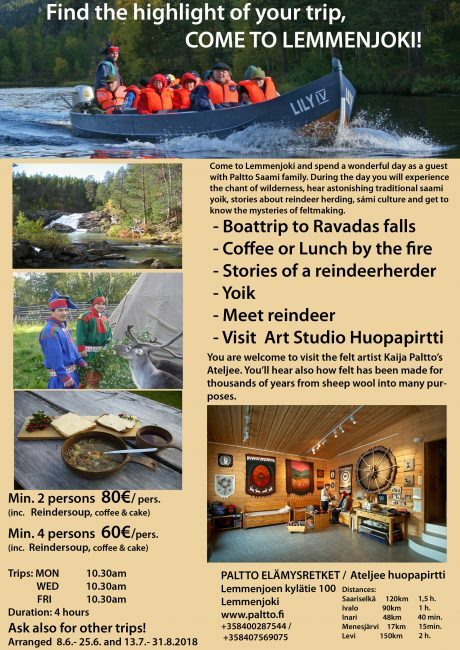 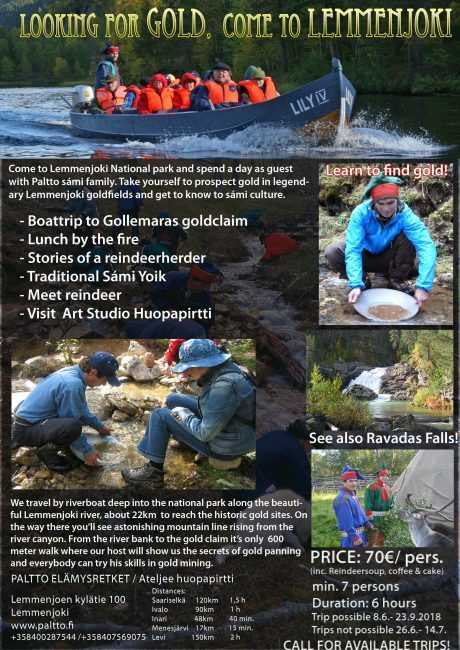 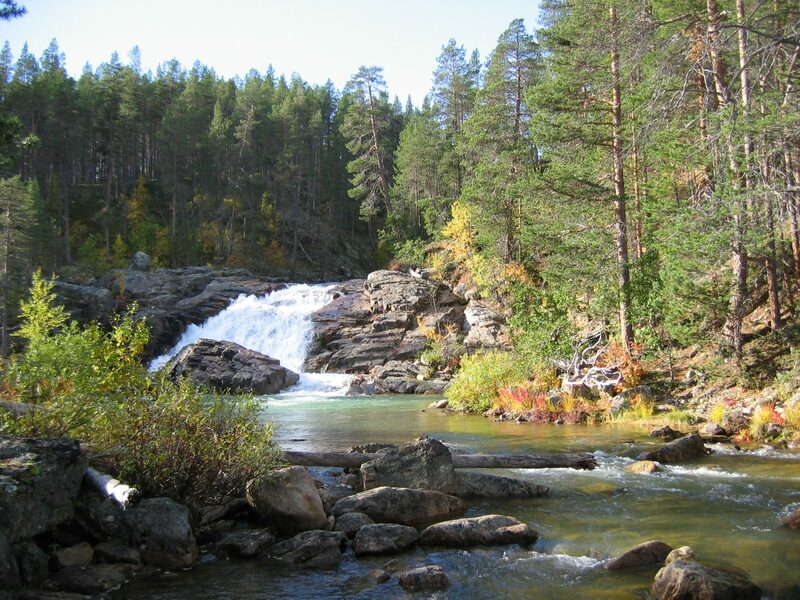 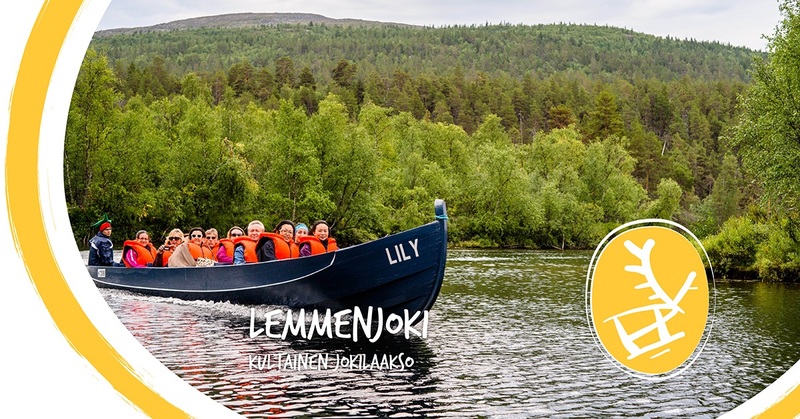 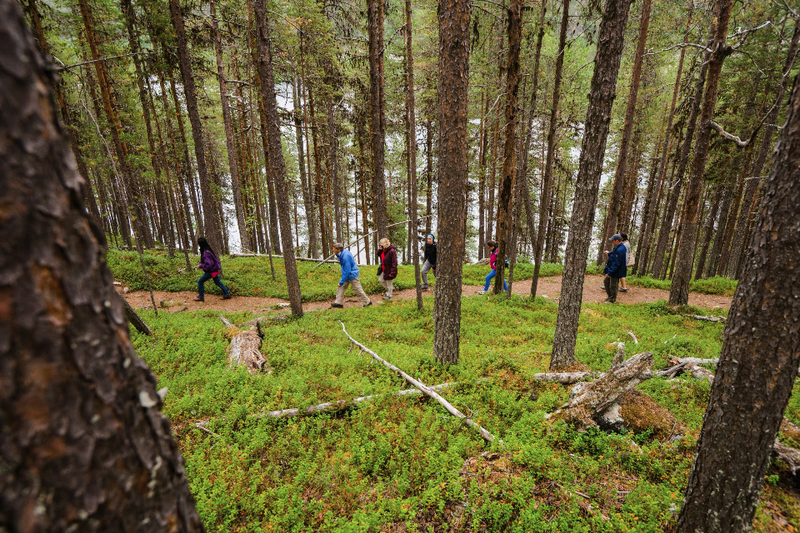 Paltto Elämysretket arranges programmes in the Lemmenjoki National Park including boating and gold panning trips, nature lunches, reindeer and Sámi culture programmes, and cabin accommodation on the tranquil shores of the Lemmenjoki River. 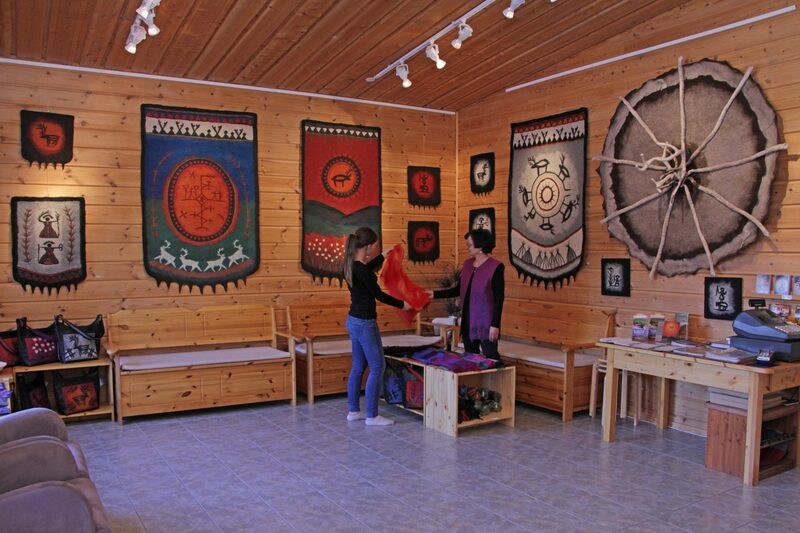 In Ateljee Huopapirtti you will see the Kaija Paltto feltwork exhibition and you can take part in felting demonstrations and courses.